4-30-2011 - Wow what a crazy day! Several pups went to their new forever homes today. I feel good that they will all be loved and cared for. Thank you to those that stopped by today and added a new family member to their lives. 4-23-2011 -- BEWARE You Could Fall in Love!!! I was able to get pictures of just about all of the pups posted today. The little red shih poos played out on the deck most of the day today, but do you think I would remember to snap a few pics. nooooo, I guess I was too busy watching them scamper and play with each other. Be very careful when opening the pages, you could very easily lose your heart. If you do and want a formal introduction, give me a call and we will set up a time for you to meet. 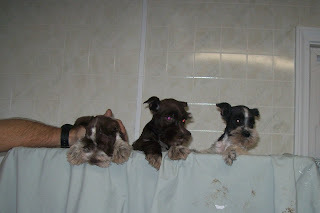 4-21-11 New Pups Available in just a FEW DAYS!!! Our new litters will be available for viewing and ready to go home as of Tuesday, April 26. A whole bunch of pups!!! We have Morkies, Yorkies, Maltipoos, Cockapoos, Parti Schnauzers, Teddy Bears, Shih Poos and Chihuahuas. I will be posting pics sometime this weekend. I have already started to make appointments for Tuesday; therefore, if you are interested and want to set up a time to come see these darlings, just give me a call. We just reduced the price on the Cocker Spaniel Pups from $400 to $300. They are gorgeous, loving pups. They will weigh anywhere from 20-30 lbs. when full grown. They are 9 weeks old. We also just reduced the price on all of the chihuahuas available at this time to just $350.00 each. They are going to weigh approximately 4# full grown. Great prices on both of these breeds. We need to make room for the pups that will be available in approximately 2 weeks. Please give us a call because they are waiting for their new forever home. Anyone trying to reach me at my e-mail: bandckennels@gmail.com I will try to get it added to my home page header. Thanks for the comment. 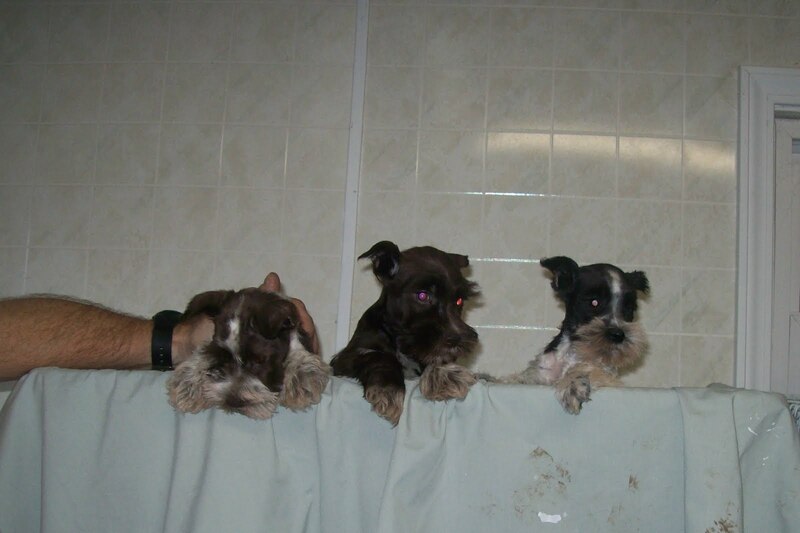 Just gave the little schnauzers a haircut yesterday. Are they not the cutest things?? I love giving first haircuts and seeing the teeny tiny schnauzer come out. Still trying to get some better pics of the other pups. The weather hasn't been so great to be outside, which is where I prefer to sit with them and photograph, but I will keep working on it.